I’m not sure if I have mentioned it but I’m not much of a pattern user mostly because the big box patterns usually fit terribly but recently I’ve discovered indie patterns and my eyes have totally been open. Interesting designs, great fit, it’s a whole new world. 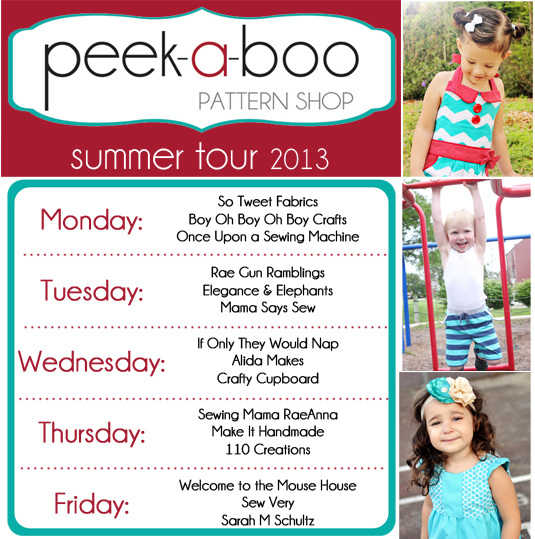 So I’m crazy excited to be a part of Peek-a-Boo Pattern Shop‘s Summer tour. 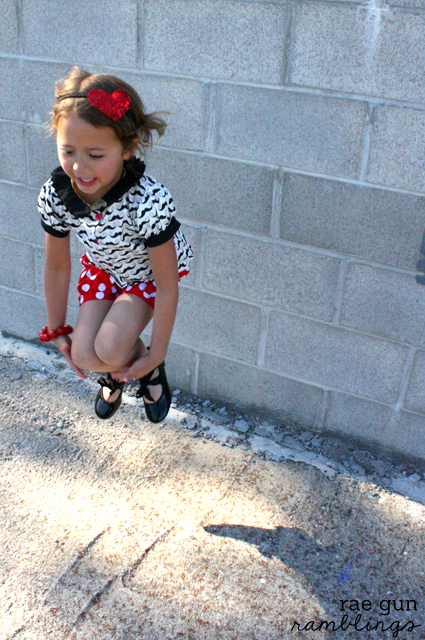 The shop is full of great well fitting kiddo clothes. They just had big revamp and to celebrate they are doing a huge giveaway. See the bottom of this post for details on how to enter. I was lucky enough to review two great Peek-a-Boo patterns and I loved them both. For the top I used the Molly Schoolgirl Blouse pattern mixed with some of Riley Blake’s awesome mustache fabric. The only little switch I did was to use rick rack instead of pipping and I think that made for a sweet little change. After measuring L I picked the size that correlated to her measurement which had me making her top and bottom a different size but they both fit great! Seriously I love a pattern that tells you what size to pick and it’s actually right. And I love the mustache shirt bubble shorts combo. I also got to test the Bubble Shorts Pattern which may very well be may new favorite pattern. The directions were so clear and I am just giddy at had stinking cute this turned out. I used another Riley Blake fabric for these. What’s even better is that L totally love them. The day after I gave them to her she showed up wearing them again apparently having picked out her own outfit, score! So if you want one of 3 a chances to win a prize pack of 10 patterns from Peek-a-Boo see the rafflecopter below. I love the school girl blouse. Can’t wait to add that my collection. The outfit is just adorable!! Oh my goodness! That is simply adorable! I love those shorts! May need to make some for Lily for our Disney trip next year. SO cute! I REALLY hope I win! Those are both so stinkin’ cute!!! 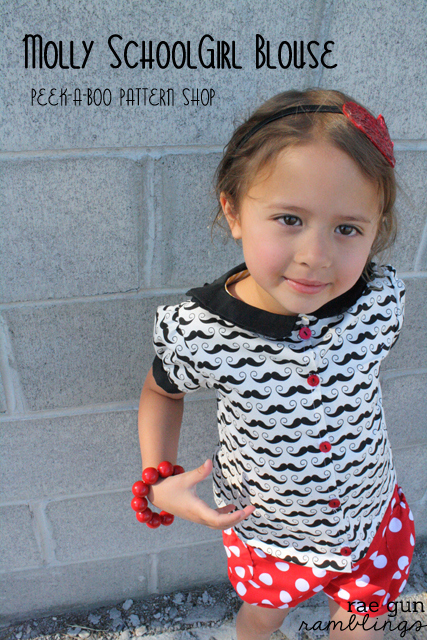 I love that mustache fabric! Oh wow these are adorable! I just love the fabric and the pattern is so cute!! Totally cute outfit! 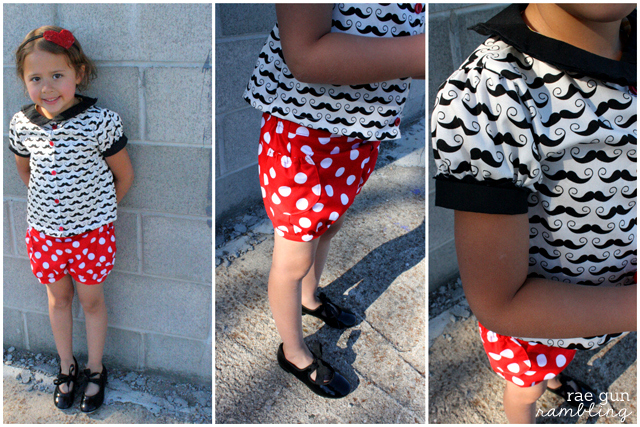 I love the mustache fabric, and those bubble shorts are too cute! 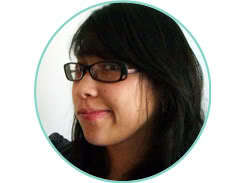 I love the shirt’s collar and red buttons! Sew cute! i’m 31 and I want the same outfit. No shame. You don’t even know how much I love this! Mustaches and polka dots?! Perfection.